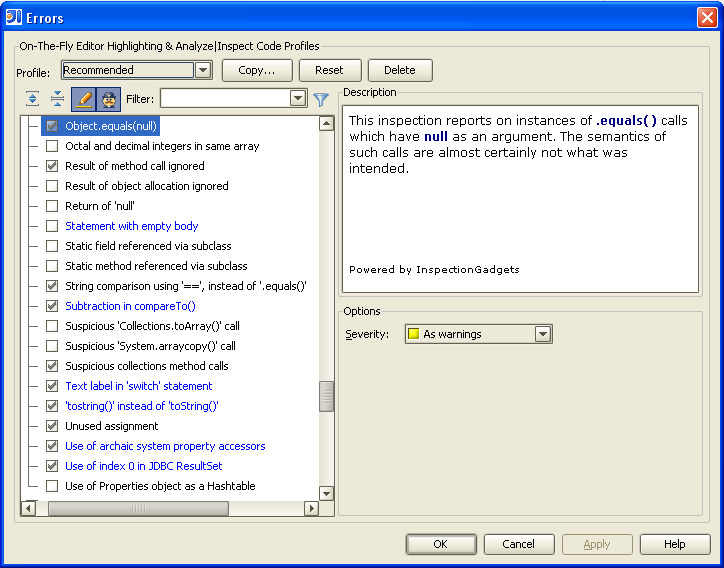 There is an inspection "Object.equals(null)". 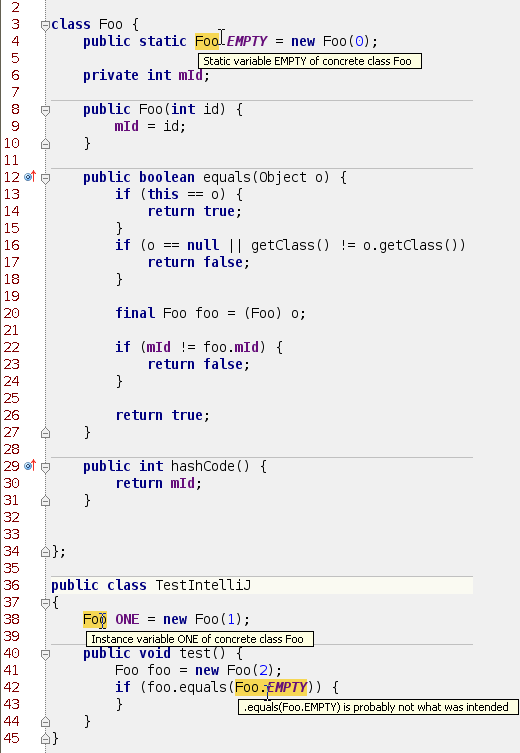 For some reason it's flagging several places in my code,even though the parameter to equals is not null. Is this a new inspection? I don't remember seeing it before. Also, some of my classes are getting flagged "Instance variable of concrete class Foo". I thought this was only flagging instances of concrete classes which implement interfaces, e.g. instance of ArrayList which implement List or instances of HashMap which implement Map. A bug, sorry, fixed already. class" inspections are not very useful. 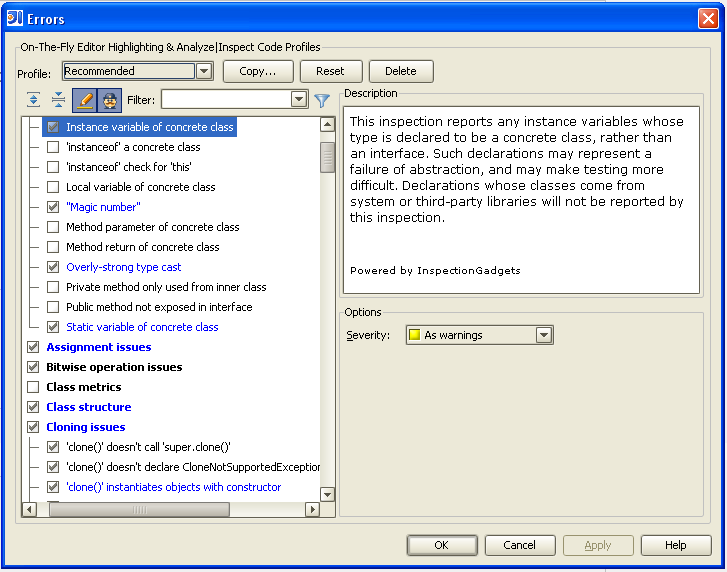 >> You are welcome to suggest any changes, because I think that currently the "** of concrete class" inspections are not very useful. Ok.. I thought it was a bug. I guess I must have accidentally enabled those, because I hadn't seen them before. I definitely agree those of those concrete inspections are useless, and should be removed. Maybe Dave needed to add some filler to make the world record for most java inspections. &gt; think that currently the "** of concrete class"
&gt; inspections are not very useful. Well removal may be too harsh. With a couple of improvements this group of inspections is for example useful for anybody who is producing an api for others. "Method parameter of concrete class" and "Method return of concrete class" warnings on public methods only would then be good I think.